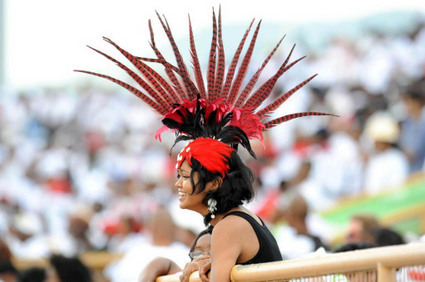 T&T’s fans: prettier than England’s fans. Nice hat, although you wouldn’t want to be sat behind her. David Bentley’s chest, smoother than a baby’s bottom. 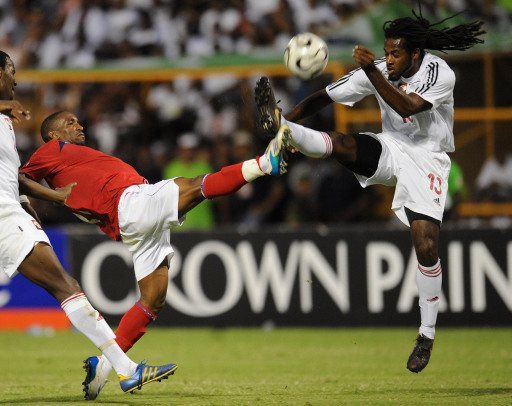 Jermain Defoe gets stuck in, with a challenge on Kareem Smith. 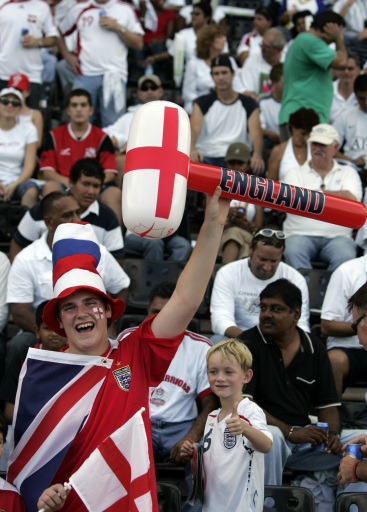 We didn’t recognise any of England’s subs either. England fan with de rigeur inflatable hammer. 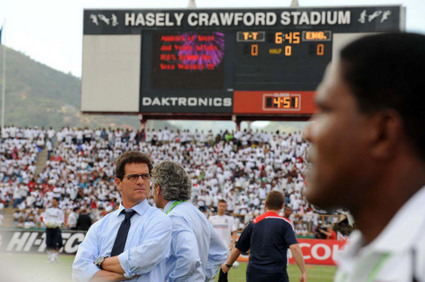 England boss, Don Fabio Capello, in focus.